Dress a bed with modern flair in an instant. It’s the perfect way to prep a guest room, outfit every room in the cabin or simply refresh your master suite. 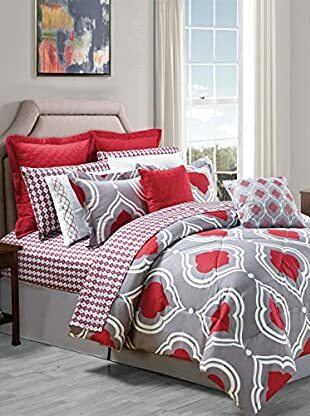 This bold-and-warm set includes sheets, pillowcases, shams, an overfilled comforter and throw pillows. 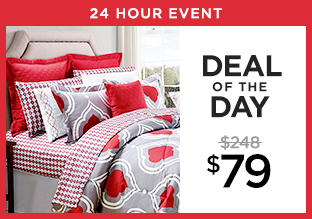 And today you can bring it home for just $79 (while supplies last). Everyday Inspiration: Home décor & entertaining tips and tricks on our blog, theFIX.